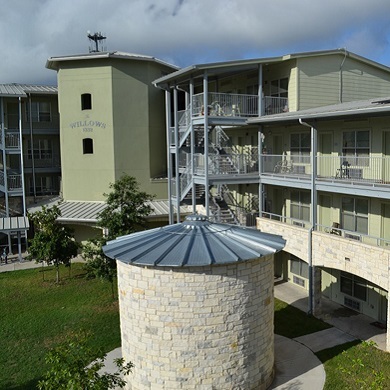 The Texas Housing Impact Fund, administered by the Texas State Affordable Housing Corporation, offers financing for the development, acquisition, or rehabilitation of affordable rental or homeownership projects across Texas. The Fund supports projects that create opportunities, healthier environments, more mobility and a higher quality of life for low and moderate income families. Through the Texas Housing Impact Fund, TSAHC provides short and long-term loans to developers seeking to build affordable housing, with an emphasis on empowering local nonprofit builders. Our loan products provide competitive rates and can be combined with other financing products to give developers the flexibility they need to create sustainable housing in Texas. 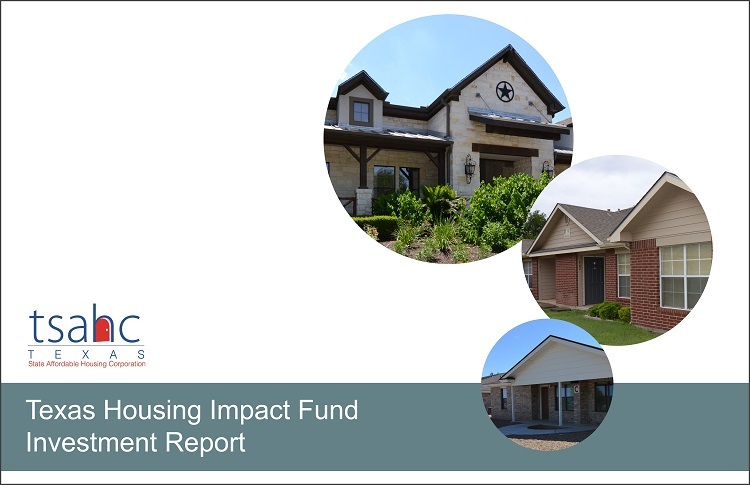 Download our Texas Housing Impact Fund brochure to learn more about the fund and share with others who may be interested. TSAHC uses program revenue and private funding to provide loans to nonprofit and for profit housing developers, including grants, equity equivalent investments (EQ2), donations and program-related investments (PRI). 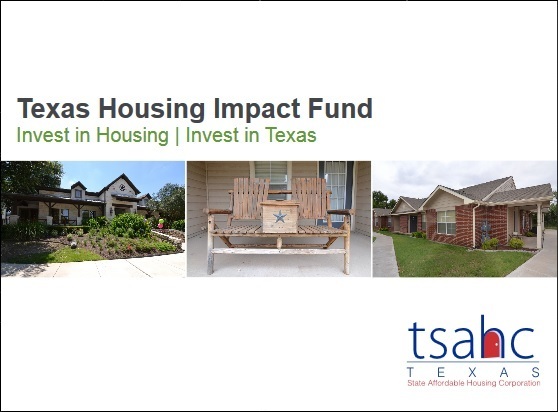 Your investment in our Texas Housing Impact Fund program will help TSAHC help a local developer create affordable housing. Get more information by clicking Become an Investor.